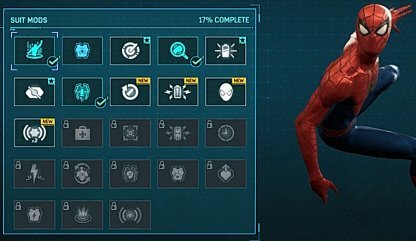 Check out this Spider-Man PS4 list and guide on all available Suit Mods, their effects and passive powers, how to unlock & recommended/best suit mod loadouts. 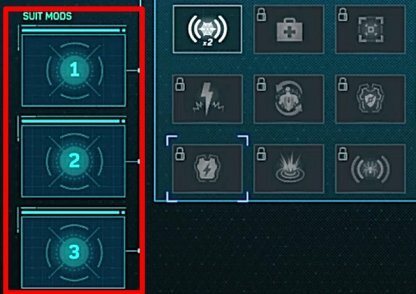 Equipping the Mods Battle Tech, Webbed Striker, First Aid in conjunction will provide Spider-Man with healthy amount of Focus in combat; providing both healing and finishers. 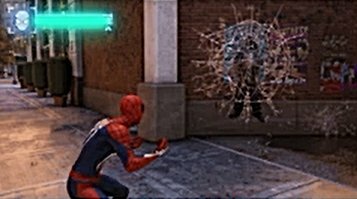 The Battle Tech Suit Mod allows Spider-Man to generate more Focus when using gadget attacks. Getting as much focus as you can while in combat gives more chances to heal or do finishing moves. Webbed Striker gives you more Focus the more you use web attacks. Combined with Battle Tech, your Focus bar will refill like there's no tomorrow when you use both web & gadget attacks. First Aid increases the amount of health you regain from your Focus bar. This is a great Suit Mod to have during prolonged fights with waves of enemies. Battle Tech Gadget attacks generate Focus. Gel Padding Reduces incoming melee damage. Long Range Scanner Increases the range on the AR scanner to show items and enemies farther away. Combat Analyzer Increases XP from defeating enemies. Discharge Power Cells Perfect Dodge temporarily increases damage. Silent Step Enemies take longer to detect you in stealth. Ballistic Inserts Reduces incoming bullet damage. Scavenger Finishers generate bonus gadget refills. Kinetic Power Cells Increases the rate Focus generates. Reactive Lenses Reduces the effect of flash bangs and stun grenades. Webbed Striker Web attacks generate more focus. First Aid Increases the amount you are healed from Focus. Bio Scanner Scanned enemies remain highlighted until combat starts. Full Charge Capacitators Increases damage when your health is above 100. Threat Sensors Slow time after a Perfect Dodge. Charged Outer Mesh Plasma discharging mesh electrifies suit surface, stunning enemies who touch it. Needs to recharge after activation. Metabolic Converter Chance to generate gadget refills when taking damage. Bio Mesh Absorb some incoming damage without resetting the combo counter. Blast Plates Reduces incoming blast and rocket damage. Life Support Automatically consumes a Focus bar to heal you when you are low on health. Ferromagnetic Harness Reduces the duration of the electrocuted status effect inflicted by stun batons and electric weapons. Stormbolt Discharger Build up an electrical charge by performing air attacks and release that charge by attacking enemies on the ground. Proximity Sensor Reveals nearby secret photo locations on the mini-map. 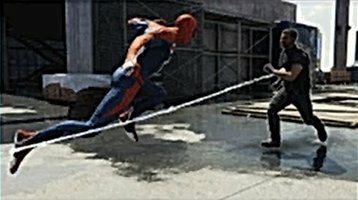 Suit Mods give Spider-Man passive skills that are extremely helpful in battle. These are obtained via leveling up & collecting tokens. 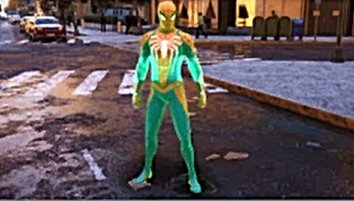 Tokens are needed to unlock Suit Mods. These can be a mix of all available tokens in-game. You can have up to 3 Suit Mods activated at any given time. A powerful combination can lead to an increase in damage, faster XP gathered in combat, and others! You can open your Suit menu any time in the game, even in the middle of combat. Switch between Suit Mods to help you gain the upper hand in different situations.